Habitat: The plant is native to South Europe and northern Africa. Description: Lemon Balm is a perennial plant, growing from 70 to 150 centimeters in height. It has an angular stem and oppositely arranged leaves, dark to yellow green in color. Clusters of small white to yellow flowers appear during summer. Medicinal use: Traditionally, lemon balm was believed to ensure longevity. It was used as a mild sedative, and as a remedy for mild gastrointestinal problems. 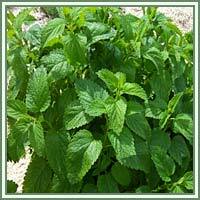 Nowadays, Lemon Balm is mainly used in combination with other calming herbs in treatments of anxiety and insomnia. 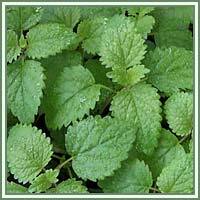 Lemon Balm is also considered to be carminative, and can be used in treatment of excessive gas and indigestion. Used topically, an ointment made from it can be an effective remedy in cases of cold sores caused by herpes simplex.